There’s no getting around it—the Canadian winter is usually a good half year long in most of the country. 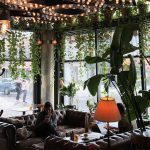 That’s a lot of time, and while we might often be inclined to give in to the frigid temperatures and congregate around the warmth of our clunky radiators, cabin fever is going to set in sooner or later. Many of us have tried skating, snowshoeing, and tobogganing, but few have taken advantage of a certain winter activity that is tailor-made to be warm (well, in a way), fuzzy, and uplifting: dog sledding. To find out more about dog sledding, we needed an expert. So we reached out to Carlin Kimble, who is the President of Snowy Owl Sled Dog Tours in Canmore, Alberta, and the Vice President of the Canadian Coalition for Sled Dogs. Kimble’s parents founded the company over three decades ago—hence their slogan “Harnessing Dreams Since 1983,” nearly as adorable as the dogs that help run Snowy Owl—so she was born straight into the world of mushing (which is a word used for any sport or method of transport powered by dogs). And so was her son. Carlin Kimble, President of Snowy Owl Sled Dog Tours, has been driving sled dog teams since she was four years old. It’s a family affair at Snowy Owl, with Kimble’s brother, husband, and sister-in-law all working alongside her. 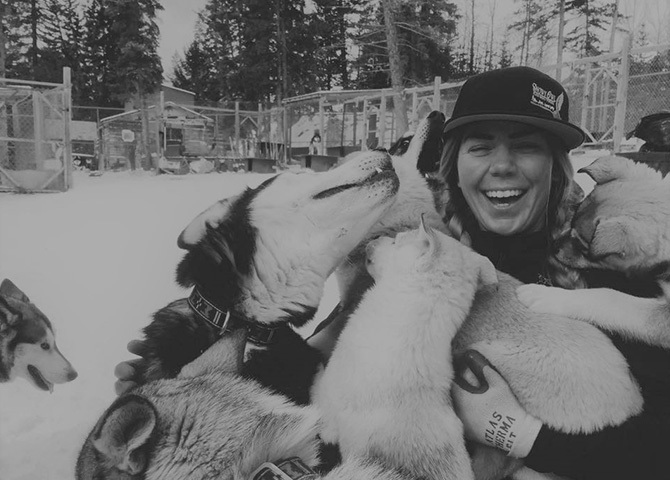 She’s been driving sled dog teams since she was only four years old, guiding professionally since 2004, and her very favourite reason for being a musher is very simply the dogs. “They are the heart and soul of our experiences, and they are the real heroes,” Kimble says. 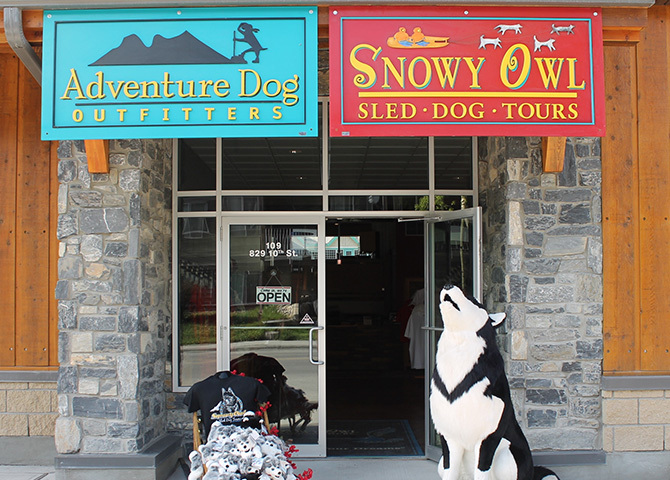 Snowy Owl Sled Dog Tours in Canmore, Alberta. So what happens on a sled dog tour? Well, it may vary from company to company, but at Snowy Owl, all guests start their tour with a hands-on introduction and they’re each instructed on how to drive a dog team. Once everyone is good and comfortable, guests are given a sled and they hit the trail, with most guests driving their own team, following a professional instructor. 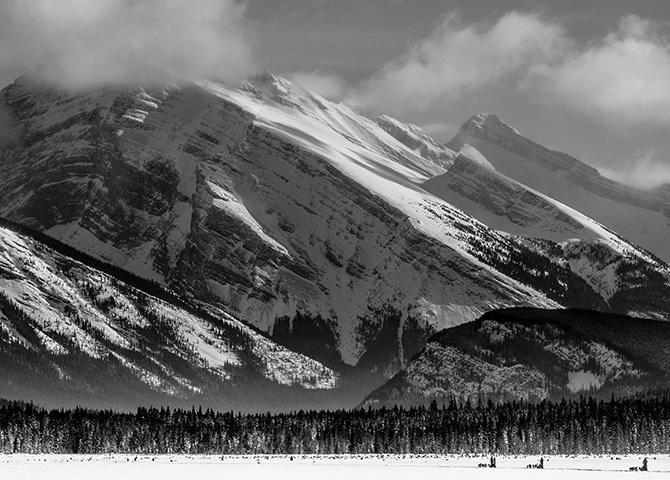 You can turn the experience into a journey, camping overnight in the Albertan wilderness. Whatever adventure you choose, make sure to come ready. You will witness landscapes that will blow you away. 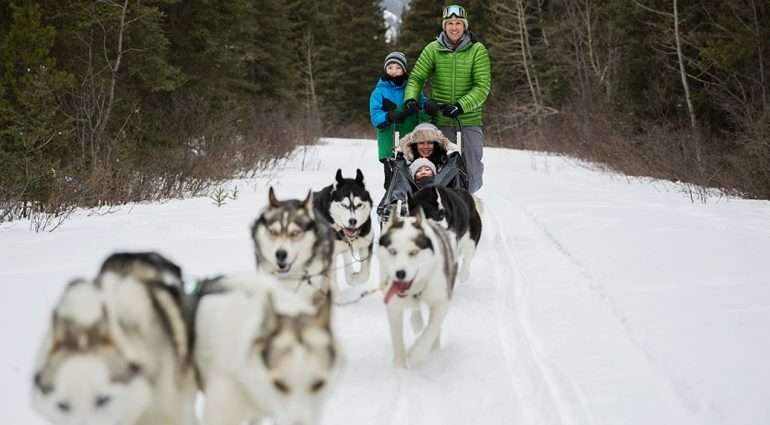 We know that it’s tough to peel ourselves away from indoor heating and sally forth into a snowy wonderland, but a sled dog tour offers a real heartwarming reason, which is a whole different kind of warm than furnaces provide. It’s a way for people to participate in something authentic, Kimble says—something exciting and beautiful in one life-changing experience. 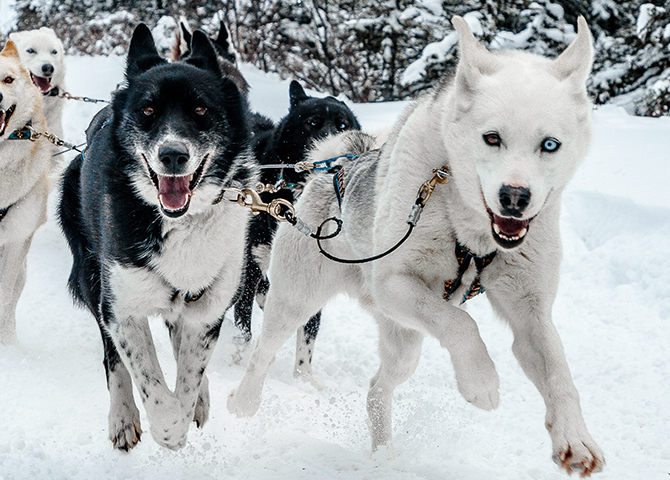 At Snowy Owl Sled Dog Tours, the dogs are cared for ethically and responsibly. Snowy Owl Sled Dog Tours is located in the beautiful Rocky Mountains in Canmore, Alberta, but you can get mushing all over the country. 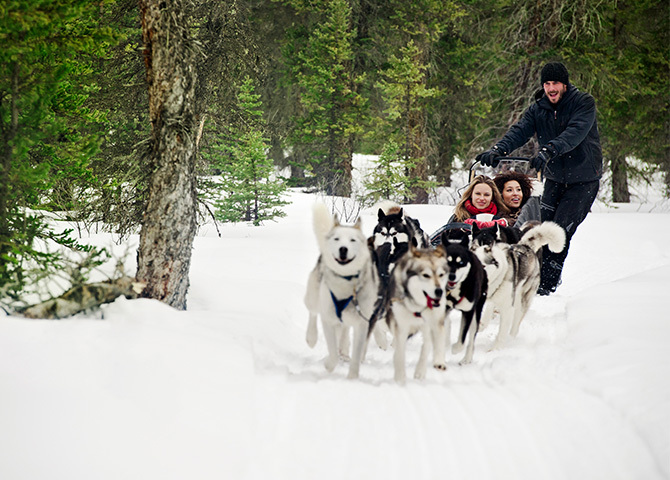 Not far from Snowy Owl, in Lake Louise, Alberta, is Kingmik Dog Sled Tours. 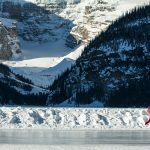 Their hotel partner, Chateau Lake Louise, clears a portion of the lake each winter for skating and rents the gear as well. If you’re heading way up north towards Hudson Bay, you can check out Wapusk Adventures in Churchill, Manitoba—also known as the polar bear capital of the world. And a few hours north of Saskatoon, you can head to Sundogs in the Waskesiu wilderness region. Algonquin Provincial Park in Ontario has both Snow Forest Adventures and Wilderness Adventures, who both offer multi-day trips. In Quebec, there are a multitude of options, including The Activity Centre in Mont-Tremblant, Timberland Tours in Bristol (only 45 minutes from Ottawa-Gatineau), North East Stoneham Adventures, and L’Auberge du Lac Morency in Saint-Hippolyte. And in the Maritimes, check out Sled Dog Adventures in Allardville, New Brunswick.